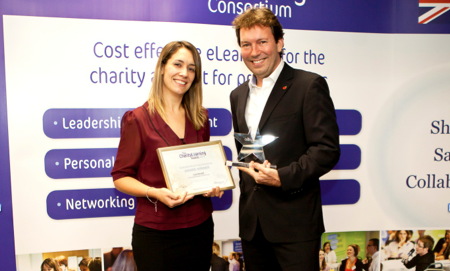 Suzie Micallef, talent development and coaching manager at The Children’s Society, recently won the Dedicated eLearning Professional Charity Learning Award 2012. Here Micallef shares her thinking on L&D and the types of inititaives she would like to develop in the coming year. The Children’s Society employs 1,000 staff and has a further 10,000 volunteers. Employees are spread across England in children’s centres, retails shops and at the London based head office. Staff also run projects for children and young people, and may not necessarily have a desk. When I started at The Children’s Society in January 2012, I was told about an online learning system but due to staff changes within the organisation, no one seemed to know much about it. We’d had the system for three years, but it certainly hadn’t been used to its full potential. Out of 1,000 employees we only had 250 registered users – and out of those only 51 had ever logged onto the system. The charity relied purely on classroom training, and the fact that elearning existed had been somewhat overlooked. It was clear that we needed a re-launch. Staff and volunteers did want to use online learning as a more efficient learning method, to reduce travel costs and for more timely training, so I looked into what the barriers were which were preventing this from happening. Some things were easy to change – for example, I ensured that everyone had a log-in, and that the login process was straightforward. I also revamped the login page, so the system looked clearer and more appealing to users. I also changed the name, to the Online Learning Zone, which helped to promote it as something ‘new’ and meaningful. There has been an increase in elearning users of more than 50% so far since the relaunch in July 2012. It’s early days, but feedback has been really positive. I’ve started an online discussion on our intranet forum to get people to talk about it and that’s also been successful. It’s a bit early for any evidence to show impact on learning but I do know that people are using it more now. Winning the award has also created a real buzz within the business. It’s great to get the recognition for what we are doing, but it also helps to raise our profile within the organisation, and show that what we are doing is credible. Definitely the technology. When I joined The Children’s Society I’d never used elearning for staff development and support before. I was also part of a team of people who had all – coincidentally – joined the organisation quite recently. And none of us had any technical know-how. Technology is an ongoing challenge for us, but we are very fortunate to have a new and very proactive information services director, who is really enthusiastic about online learning. Over the next six months we are streamlining our technology so that all office-based staff will have the same virtual desktop. It sounds like a small thing, but having different staff using different versions of various programmes became a real challenge, so this will make a huge difference, and really make our online resources accessible to all. Where do you get your ideas and inspiration for your role? We’re very much a practice-based, action-orientated organisation, so people need to be able to share their knowledge quickly and easily – they certainly don’t have the time to trudge across the country to do so – so I have a real vision of how we can evolve to become a knowledge sharing organisation, using technology, with the help and support of the Charity Learning Consortium. Lots of people are incredibly knowledgeable in the organisation, but there aren’t enough opportunities for them to share this at present. I’d really like this to change in the future. How other organisations, like BP for example, are sharing their knowledge internally really inspires me. What learning technologies are catching your eye and why? I’ve grown up with the internet and using emails, so using technology comes naturally to me. I’m really into using social media (Facebook and more recently Twitter) and believe that they are the way forward, with real potential for knowledge sharing. Micro blogging sites can be real tools for learning, and I’d like to use these tools within the organisation in the future. I firmly believe that technology needs to be at your fingertips, so I’m really interested in mobile learning as well. In our retail stores, an internet connection is only available via the till – which isn’t very conducive to online learning. We can’t refuse to serve customers because our shop staff are using the till system to complete an online course. So we’re establishing a trial where we give retail staff tablet computers – not just for learning, but for other tasks as well. It’s vital that when you want the answer to something that you can find it quickly, and also share that knowledge straightaway. What excites you for 2013 and beyond? I want to move towards the CLTv [The Charity Learning Consortium’s video sharing platform] method of video learning – basically filming best practice and sharing this amongst the organisation – as I think that will be really effective. 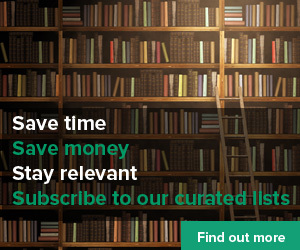 Nick Shackleton Jones – group head of eLearning at BP – referred to this at the Charity Learning Conference as a ‘honeybee approach’ – I like that description. I’ve already started to engage with our HR Business Partners to design and film videos on management development. I’ve also been working with our volunteer management team to film a piece about what we do here for volunteers. These videos will feed into a new blended approach to learning and development within the organisation. So for me, these are exciting times! What three tips would you share with others, from your experience? It’s important for there to be some kind of testing and consultation with the organisation before the implementation of any new system. People need to know how it works and why it will benefit them before they use online learning. Facilitated sessions seem to have been popular and I have done some telephone intro sessions as well. This communication has been and will continue to be vital as we continue to innovate and change. Facilitate introductory sessions even if it’s time-consuming – some people need to be shown how to use the modules, in person.